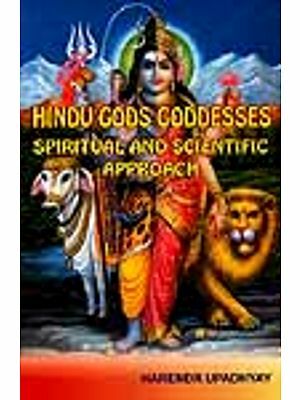 With the blessing of LORD SHIVA the embodiment of OM, the root of existing and non-existing, I am presenting this humble book with the sole motive of reviving spiritualism. 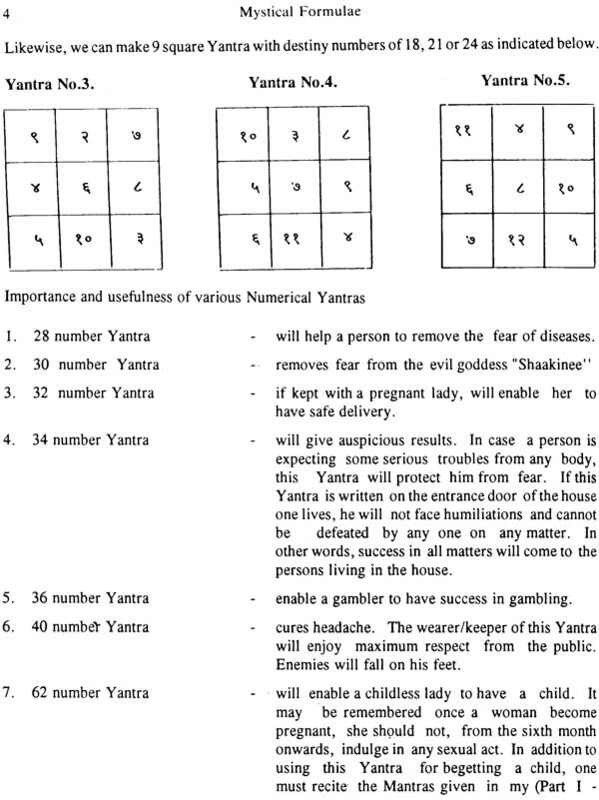 First of all, I am thankful to all those readers who have appreciated my first book titled "Nakshatra Based Predictions including Remedial Measures  Part I" and my second book titled "Mystical Formulae  Part I  Mantras". I would not have ventured into this book but for the overwhelming support and enthusiasm expressed by the public on my two books mentioned above. 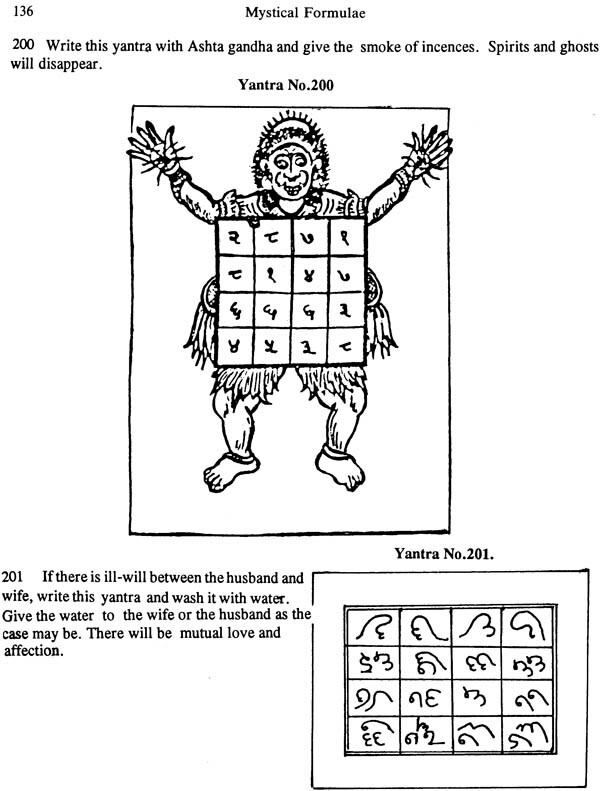 A doubt will arise in the mind of readers in regard to the utility and authenticity of Mantras and Yantras. This doubt is created out of ignorance. To disregard anything by labeling as "useless or rubbish or orthodox" without bringing into practical use is not the correct approach. Now the tendency is to prove everything scientifically i.e. no theory or formulae or invention is acceptable to the world unless it is proved scientifically. I will narrate an interesting discussion taken place between two friends which I overhead when I was waiting for a bus. One friend mentioned that "now-a-days I am doing meditation and I have seen several supernatural beings during the course of meditation". His friend immediately shouted "what nonsense? You are waisting your valuable time". When the friend doing meditation went on arguing to establish the value of meditation, his friend asked him to prove is scientifically. He even made a bet of Rs.100 if it can be proved scientifically. Now the question is how to prove it scientifically? Experience vary from person to person. 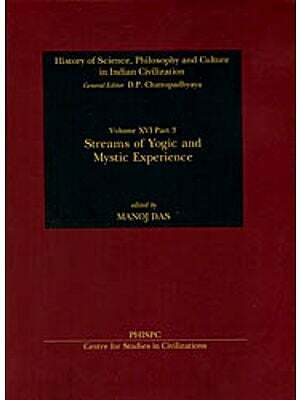 We all forget that the term" science" was in existence even before the Vedic period. The reason why I selected the point as Vedic period is because it is the pointer period which most of us are aware. 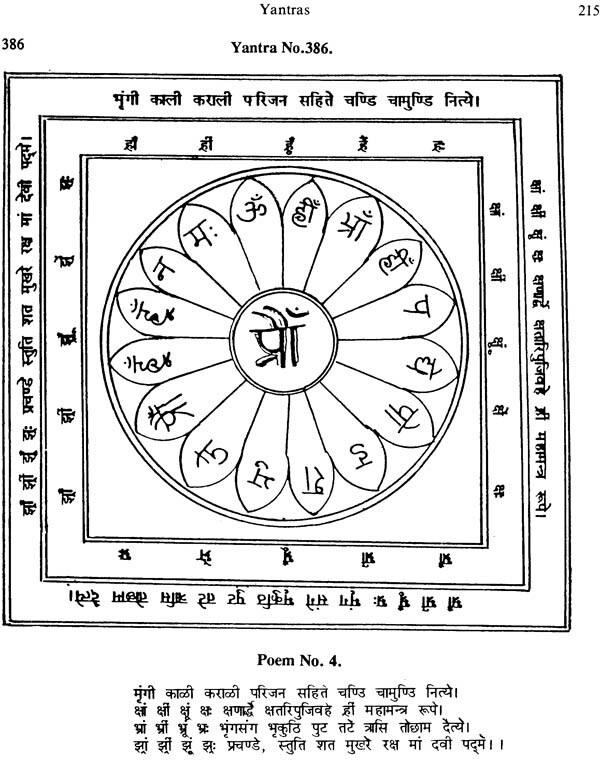 The meaning of "Science" is "Shastra" And "Shastra" is the usually accepted synonym for any "System or Theory or Method" mainly due to the import of English Language. It would be better to rename the terms as "Old Science" and "Modern Science". 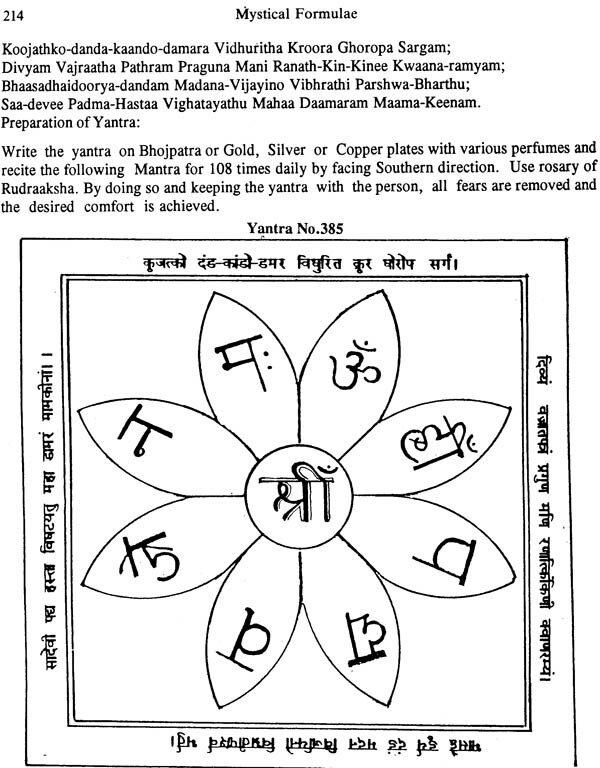 I have experienced lot of "VIBRATIONS" during the course of writing and drawing of the Yantras and Mantas. Modern scientific man will stamp my experience as a Psychic case. I once again reiterate that I have experienced and felt the presence of the "Almighty". Then the question would be  what did I achieve? Whether I have derived certain supernatural powers etc. 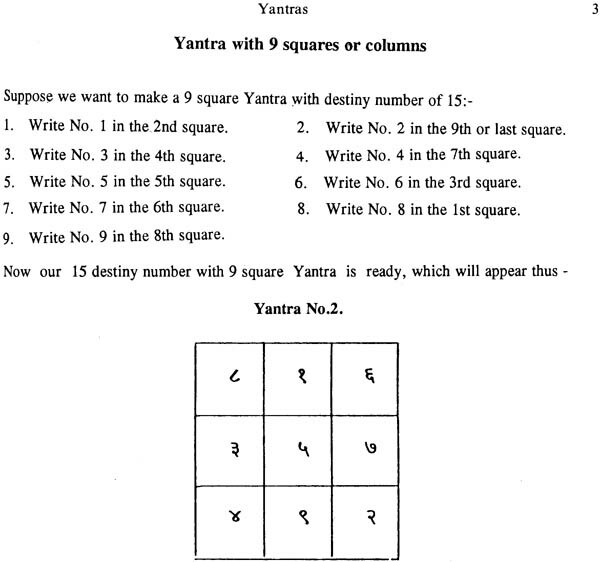 I started drawing various Yantras with effect from 20th December, 1991 at 10.15 PM IST. 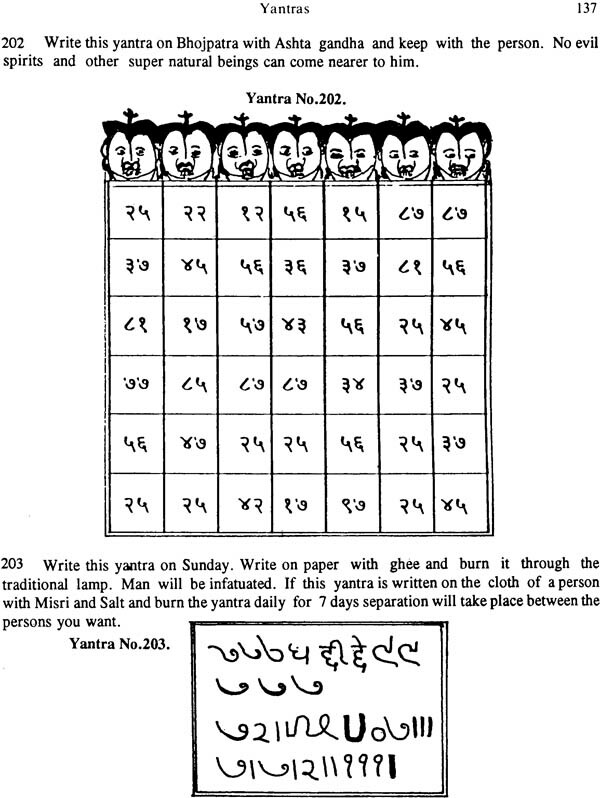 Suddenly I started feeling that somebody is patting on my back as if acknowledging my work in "SABHASH" (well done). When I turned back I couldn't see any one. This experience continued for some days. After 5 or 6 days, when I tried to sleep, somebody started pulling my hair, nose and forehead. I thought that my wife is doing it as a joke. Alas! When I started shouting "don't do it, I am tired, let me take rest, don't disturb me, she cae from the other room and asked me why are your shouting? Only then I realized that it was not she but somebody else. Imagine! There was no alternative but to get up and switch on the light out of fear. I again laid down with the light on. Again I was disturbed. I felt that somebody started pinching my back and other portion of the body as if to wake me up and asking me to do the job. I got up and started preparing the book. I could sleep on that day. It continued for days and I have not slept for days. Ultimately I realized that I cannot sleep unless I complete the book. I heard several noises at night. By that time, I was completely accustomed to these noises. During the entire period of writing, I got some extra strength. I completed this book, except Preface and contents, on 30.1.1991, at 8.30 AM and suddenly felt that somebody has moved away from my body with a jerk. Again I got the same vibration when I am typing this Preface (now) i.e. 31.1.1991 at 10.30 AM. What does it indicate? 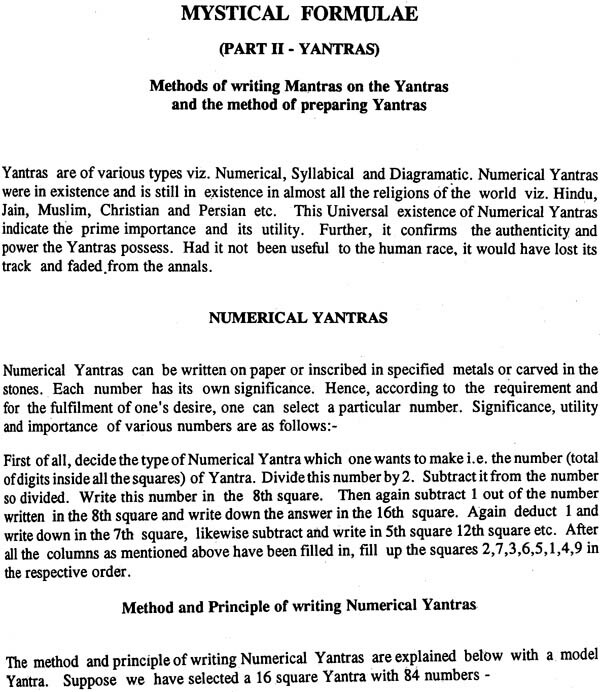 As for me, it is the indication of the superb power these YANTRAS process. I feel completely a changed man now. It seems impossible to believe that I have not slept for 1 month and 11 days i.e. 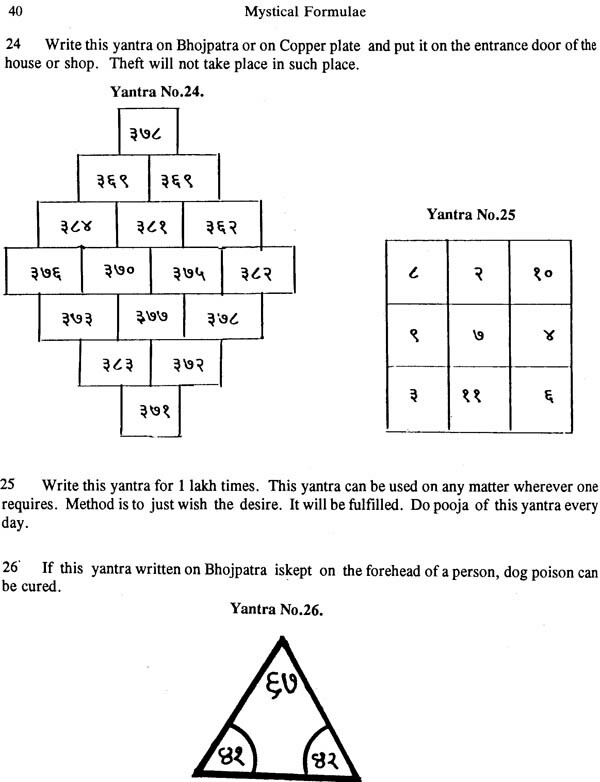 from the day I started drawing Yantras (not from the day I vibrations on my back right shoulder bone. There is a sound that of a motor. I don't know, how and why this has happened. 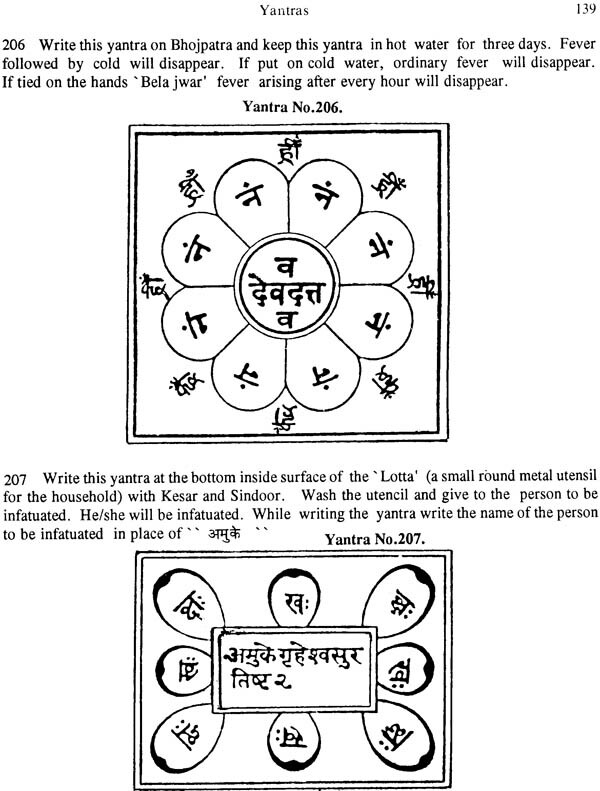 But it is enough for me to know that these Yantras have some valuable significance which I have to explore. 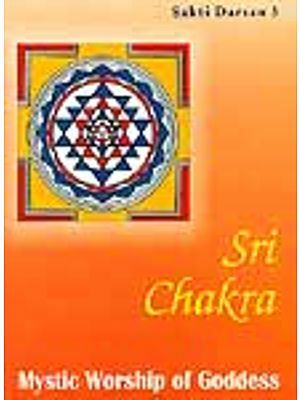 The reason why I have explained all these are not with purpose of getting any publicity of my name but to tell the world  look, anybody who wants peace must take shelter into our ancient mantras and Yantras. These have the power to change the entire world. I have always had the feeling that the world would shortly be moving again towards spiritual side. I can surely say that modern science has not achieved anything new. Whatever inventions have taken place is only a transformation from one shape to another. For example, the modern aeroplane. In olden days. Ravana used to travel in air with his Pushpaka Vimana which did not have any engine, but with his supernatural power attained through Mantras. Just imaging a vehicle without spending not even a single penny was in existence thousands of years back, whereas, the modern man call himself to be more advanced and invented aeroplanes and rockets by spending crores of rupees and that too with the help of several thousands of person. What does it indicate? 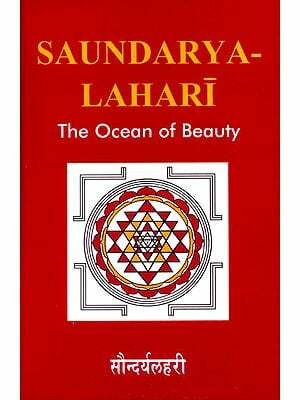 As for me, one spiritually advanced man is equal to thousands of persons taking recourse to modern science. Is it not true? I can prove it by quoting another example. 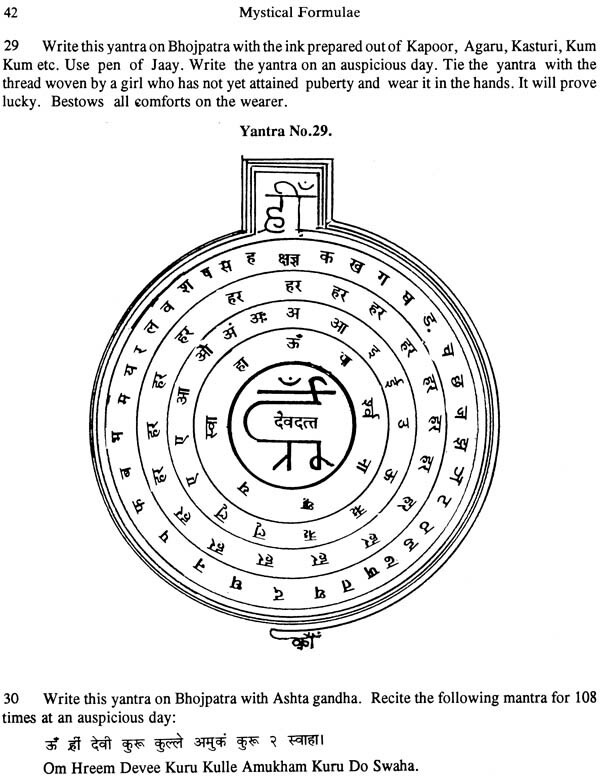 Our ancestors have with their spiritual powers or with supernatural vision calculated the transit of various planets. Could our modern scientists negative it? We all prepare horoscopes with the use of Ephemeris. What is the basis of Ephemeris? 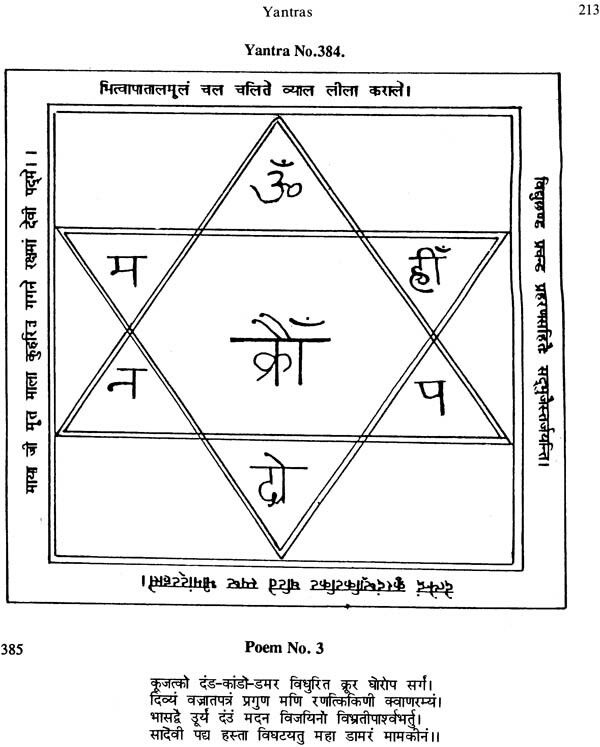 Is it not based on the formulae given to us by our ancestors belonging to the spiritual world? 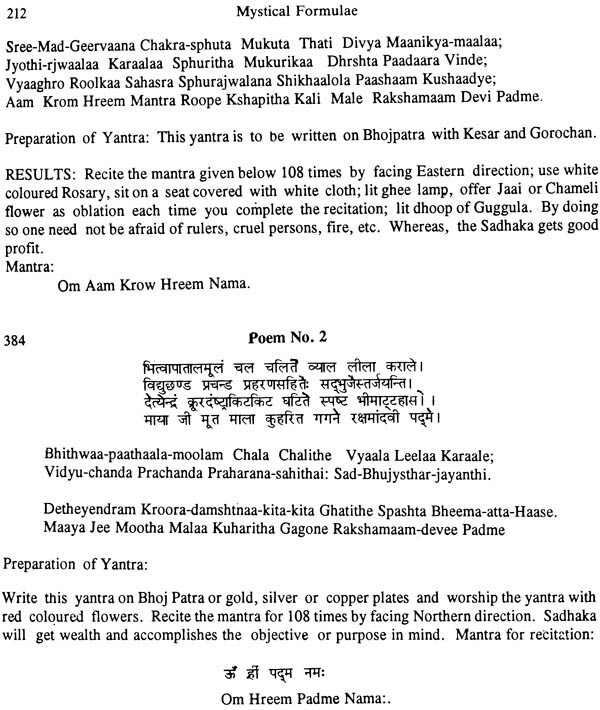 Still another example is the great BRAHMASTRA used in various wars fought in Mahabharata and Ramayana. Was it not with the power of Mantras? 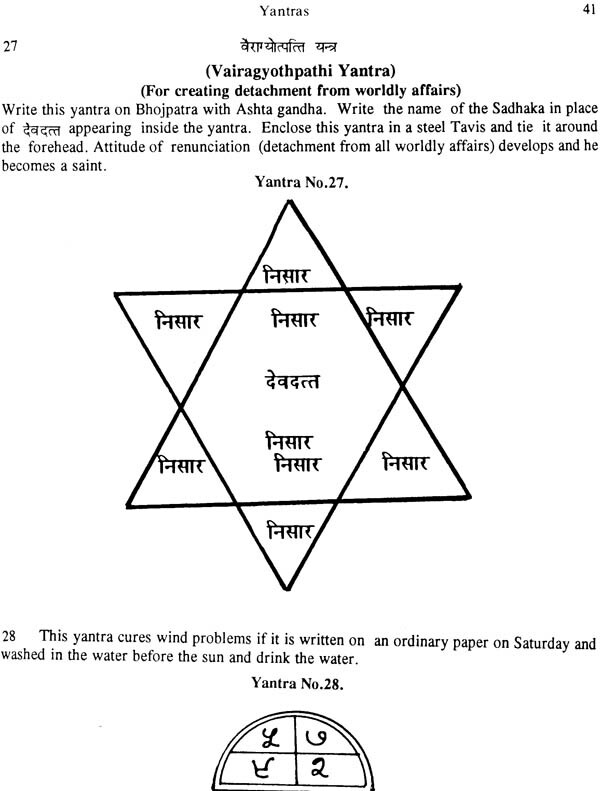 It is so mentioned that a BRAHMASTRA can be used only when all other ASTRAS (arrows) fail. 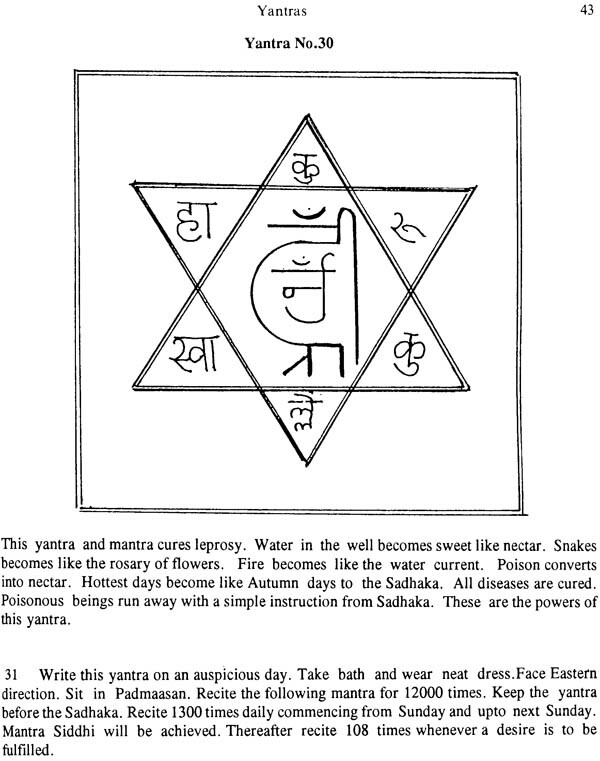 A Brahmastra is capable of destroying the entire world. Today, we have invented Atom bomb or Nitrogen Bomb or Nuclear weapons. What is the utility of these Bombs. Is it not the same as that Brahmastra? So in what respect we are more advanced than our ancestors? To conclude this argument, I may say that our ancestors were far more advanced than e the present generation. 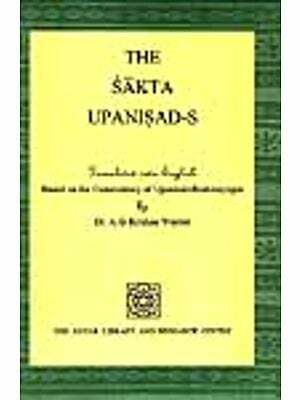 Some catastrophe or the use of Brahmastra might have destroyed most of the inhabitants of this world and the Mantra Science perished along with them. With the lapse of time, again man started his search for a System for his easy and enjoyable existence. Modern Science is the result of such search. Hence, transformation took place from one form to another. Hence, we have to name such transformation as "Modern Science. 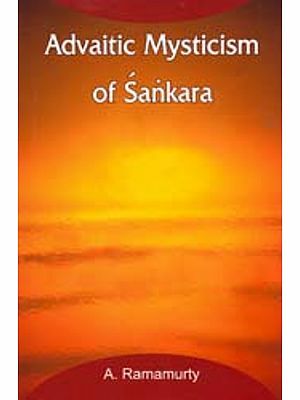 I earnestly request the readers to put the Yantras mentioned in this book into practical use and do please write to me when they have achieved the goal, so that I can continue any research so as to revitalize our lost energy and lead the world towards achieving peace and harmony. 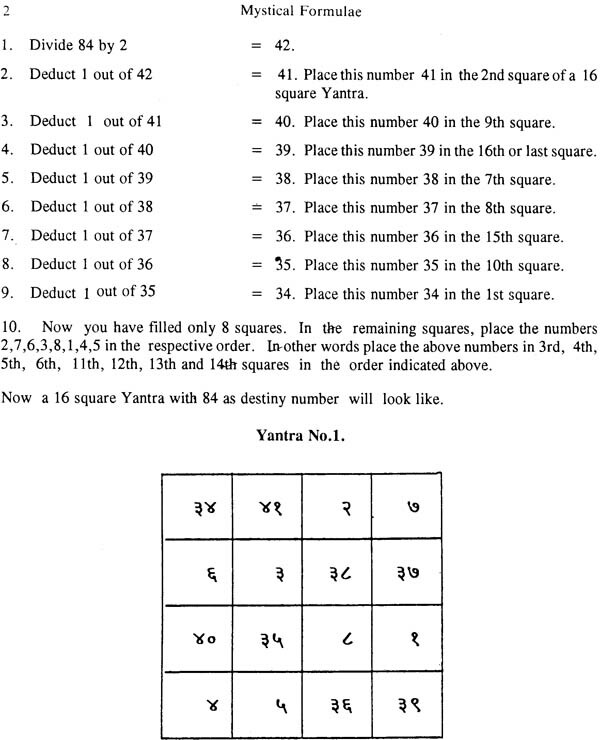 For easy understanding of the numericals used in this book, I am giving below its equivalent in Roman numericals. 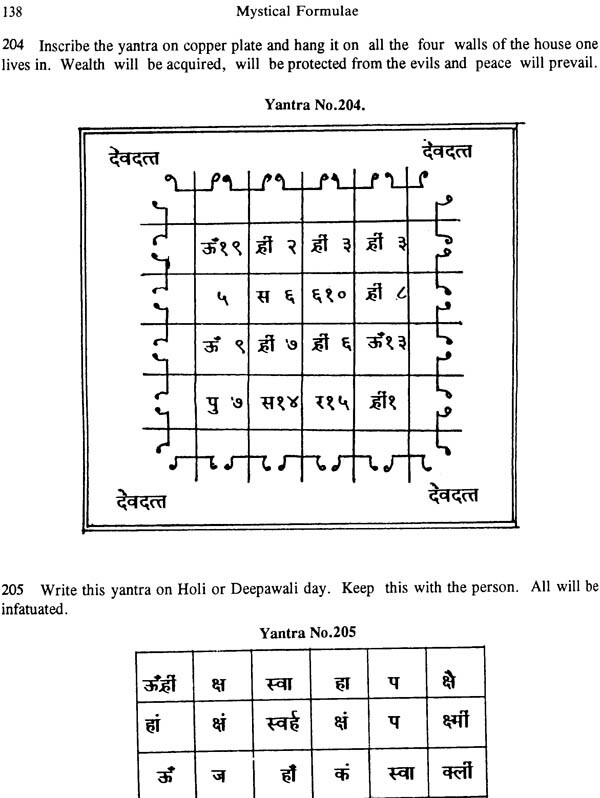 Practitioners are advised to use the same script which are used in this Yantras, while writing the Yantras or Mantras. 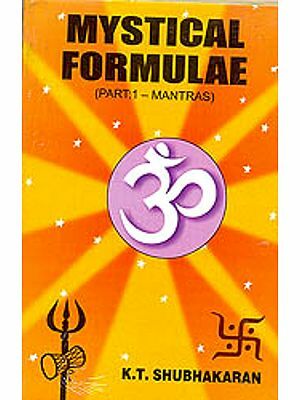 Readers are advised to go through all the rules and regulations which are mentioned in Part I of Mystical Formulae for the best result. I am grateful to all those who have given me support and encouragement. I would not have been able to write this book but for the inspiration given by Shri Narinder Sagar of Sagar Publications, New Delhi. May God give him long life and prosperity.